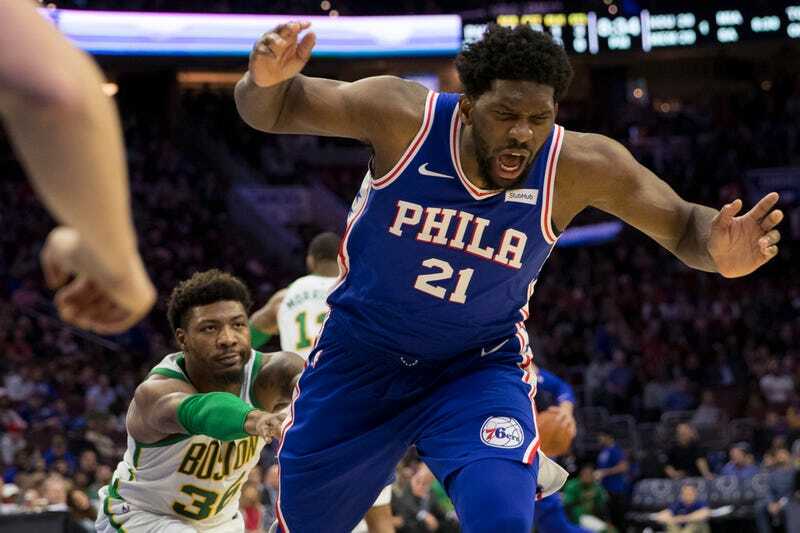 Joel Embiid stuck out an elbow and a foot, possibly maliciously and definitely in the sort of passive-aggressive way that players sometimes do this stuff to each other; Marcus Smart crashed into them, and then onto the floor; Smart got up and shoved Embiid onto the floor; and Getty’s Mitchell Leff snapped the amazing photo above. I love it so much. Then Smart got ejected. More on that in a second. First, the video! In real time, when Smart shoved Embiid, I thought Smart was furious, or at least piqued. Maybe he was. But that expression in the lower left of the photo up at the top is the face of a man who is merely observing a set of rules the other guy forgot. That is a time to make the donuts face. It is the face one makes when one’s child has agreed to take the trash out after dinner, but the can is still overflowing with garbage the next morning. It is the face of c’mon, man. I find it fascinating. 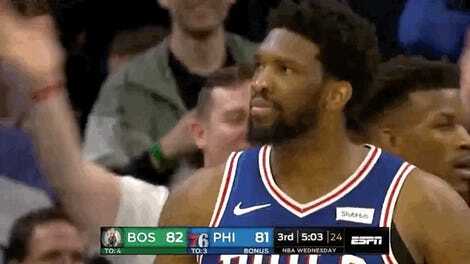 I’ve written in the past on this site—concerning Smart’s own Celtics, and specifically concerning the subject of good, hard, two-handed retaliatory shoves!—about how NBA rules ostensibly configured to prevent fights wind up incentivizing the broad category of petty violence half-disguised as basketball play that Embiid employed, here. If whacking a guy while pretending to do a basketball act provokes an open shove—an act of honest, undisguised aggression that can’t cause nearly as much pain or harm as a hard elbow—in response, that guy is the one who’ll be ejected and/or fined and suspended. It’s an imbalance in the rules that effectively makes trolling a discrete basketball skill. That’s dumb. Trolling should not be a basketball skill. But since the rules have made it into one, no one should be surprised that Joel Embiid, who is good at virtually every other part of the game, is very, very good at it. He knew what he was doing, and to whom he was doing it. 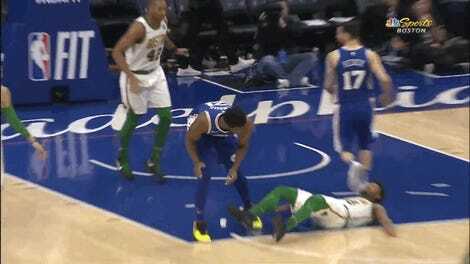 After the game, Embiid called Smart’s retaliatory shove a cheap shot. If he was aware of the irony, he kept it to himself. The Sixers got the win; the Celtics took a loss; the world gets a very cool photo. That’s probably okay.